A large and growing number of healthcarSure, when working with stateless applications, your code in a concurrent versions system like Git and your database on RDS, the need for custom backups of your EC2 instances is no longer there. However, when hosting traditional applications, you still want your virtual servers backed up. And while AWS will give you the building blocks to take those backups, you will still need a framework on top of that to implement retention schemes, cross region backups, cross account backups and more. Easy Cloud offers just that.e providers, payers and IT professionals are using AWS’s utility-based cloud services to process, store, and transmit PHI. AWS enables covered entities and their business associates subject to the U.S. Health Insurance Portability and Accountability Act (HIPAA) to leverage the secure AWS environment to process, maintain, and store protected health information. While AWS manages security of the cloud, security in the cloud is the responsibility of the customer. 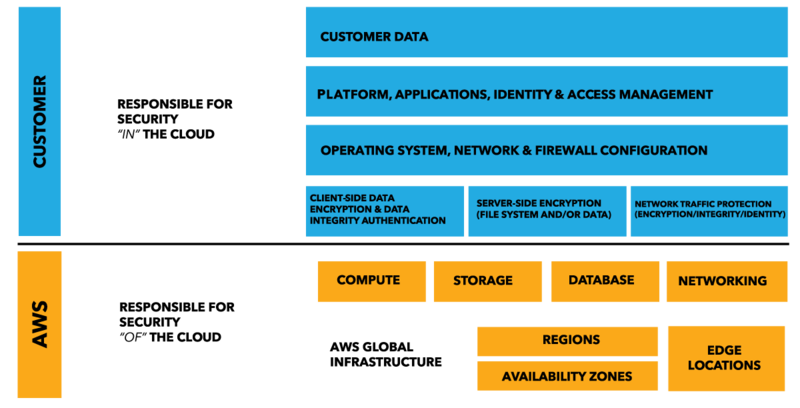 Customers retain control of what security they choose to implement to protect their own content, platform, applications, systems and networks, no differently than they would for applications in an on-site datacenter. For customers who are subject to the requirements of the Health Insurance Portability and Accountability Act (known as HIPAA, as amended, including by the Health Information Technology for Economic and Clinical Health — HITECH — Act), Google Cloud Platform supports HIPAA compliance. This guide is intended for security officers, compliance officers, IT administrators, and other employees who are responsible for HIPAA implementation and compliance on Google Cloud Platform. After reading this guide, you will understand how Google is able to support HIPAA compliance as well as understand how to configure Google Cloud Projects to help meet your responsibilities under HIPAA. Any capitalized terms used but not otherwise defined in this document have the same meaning as in HIPAA. Furthermore, for the purposes of this document, Protected Health Information (PHI) means the PHI Google receives from a Covered Entity. Microsoft is serious about earning your trust as shown through their contractual commitments to the General Data Protection Regulation. Please have a look at Microsoft’s white paper How Microsoft Azure Can Help Organizations Become Compliant with the EU General Data Protection Regulation to gain an understanding of how your organization can use currently available features in Azure to optimize your preparation for GDPR compliance. We are here to help you with your compliance efforts in the face of the coming EU law.